Alright, I'm back in Bali! Although the whole trip to Bangkok, Phuket and Kuala Lumpur was just awesome, it's also really nice to be back home. And I'm not calling Bali my home because I have to or something like that: It really felt like I'm back in my home when I arrived at our villa on Tuesday night. Bangkok indeed is a huge city. It was really nice to be in a real metropol for few days after living in Bali. There's almost 10 million people living in Bangkok and the city area is huge. You can find numerous different places around the city. I had time to see just few of those but for example I liked a lot the area where I was staying. It was near to Wongwian Yai BTS station and wasn't exactly in the city centre or didn't look really special or anything. I just liked the feeling there and it was really nice that almost all people there were locals. Of course the area wasn't that special that I'd spend much time there if I would have been staying in Bangkok for a week or longer time. There's so much to see that you just have to choose something. Khausan Road is the biggest shopping, eating and partying area, which is also the place where maybe the most (especially younger tourists) are going. 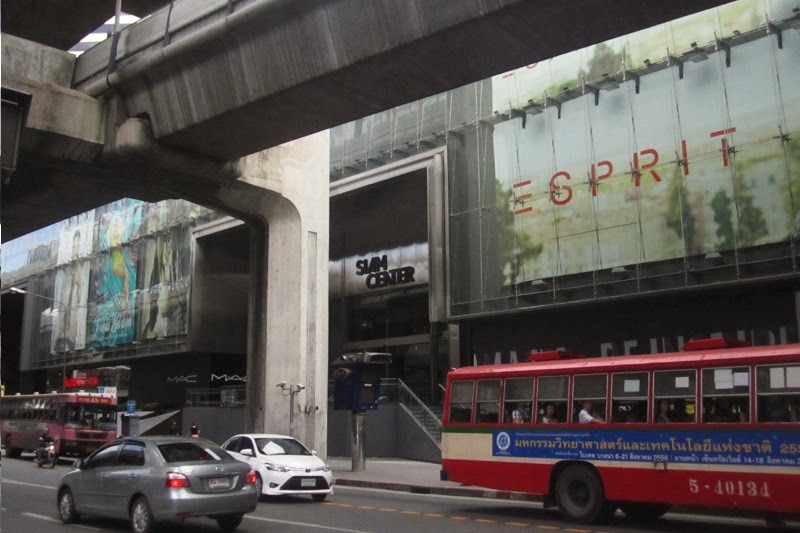 Siam Square on the other hand is in the heart of Bangkok. It was really stylish area with huge buildings, fine stores etc. I visited both quite quickly but I think there would be much to see and do in both areas although they're really different when compared to each other. Traffic's bad almost everywhere in (South East) Asia but the level of chaos depends on the country or the city. I'd say that in that level Bangkok is pretty chaotic, almost as bad as Bali. The difference is that there's almost twice as many people just in Bangkok that is in whole Bali so there's a huge amount of people. On the other hand everyone isn't using own cars or scooters as in Bali (because the public transport is really good in Bangkok) so it helps at least a little. Especially taxi drives tend to do crazy stunts. So yeah, be careful and I wouldn't recommend driving in Bangkok by yourself because you have many other options (BTS-trains, trains, cheap taxis, even buses). Really nice. Of course it's impossible (and unnecessary) to say something general about everyone in Bangkok but my impression was that people in Bangkok and overall in Thailand are really nice. They try to help you anyway they can and are also really friendly. Especially I liked Joy, who was the owner of the hostel were I was staying. She probably was one of the nicest person I've ever met. So awesome. It's also interesting to notice that the most of people who you see in Bangkok are indeed locals and not tourists. It's different compared to Bali where almost half of the people seem to be tourists. Only problem I had with locals was the fact that they spoke quite bad English. I guess English isn't that important to them so the communication was really problematic because I don't speak Thai at all. The difference was clear, when I noticed that the cashier in 7/11 spoke worse English than Balinese farmer. Cheap as almost everywhere in South East Asia. The local currency is Baht and one Euro equals approximately 40 Bahts. So it's not as funny currency as in Indonesia where 1 Euro equals over 15 000 IDR. Some notifications about the prices in Bangkok: you can eat pretty well in a local restaurant with 30-60 Bahts (~1 Euro). Of course Western versions are more expensive. Tax drive in a centre area is approximately 80 Bahts (~2 Euros). Public transport is very cheap. I didn't buy clothes in Bangkok but I've heard they're cheap also. In overall it didn't seem to be too expensive place even though it's a huge city. Of course the tourist areas in the centrum (like Siam Square) are quite expensive but you don't need to buy everything there. Real Thai Food which I think is extremely delicious - especially now when I have had chance to really eat it in Thailand and not just in some Thai restaurants in Finland etc. Although I have to admit that ate the best Thai food in Phuket because I had some difficulties with getting what I want in restaurants of Bangkok because in many places they didn't have a menu in English. So I had to order food by just pointing at some random food on the menu. In my opinion Phuket resembles Bali a lot. Of course there were some differences but the overall feeling is pretty similar as in Bali. The most obvious difference is the timing of a rainy season what I've been already complaining about. The rainy season ends in Phuket in October while it starts in Bali about the same time. So I had the pleasure to enjoy the final weeks of the rainy season in Phuket which meant that it was raining most of the time. Not so nice. But yeah, Phuket and Bali are kind of paradise islands of their own country. Although it has to be said that Phuket is 10 times smaller than Bali. The size difference was easy to notice when I was driving around Phuket. It was a lot easier and especially faster to get from place A to place B in Phuket than it was in Bali. Like Bali, Phuket has beaches, warmness, tropical flora and many different areas inside of it. Kathu and Chalong are smaller towns and most of the people living there are locals. There's many similar areas especially in the northern Bali. Phuket Town is the main city of Phuket. There's not that much to see for tourists and most of the locals live there. It resembles a lot the Balinese main city Denpasar. 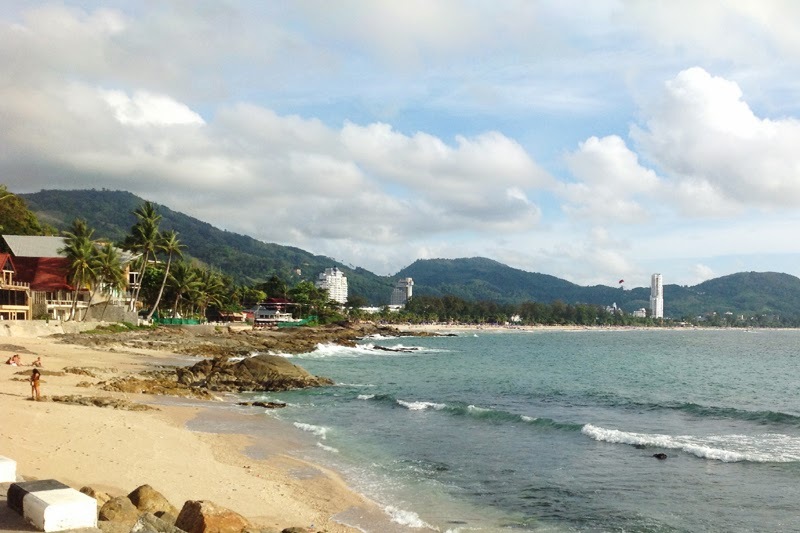 In Phuket the shopping, partying and tourist centre is Patong, in Bali the same kind of area is Kuta. Also there's lot of great beaches both in Phuket and Kuta. In Phuket for example Kata Noi and Nai Harn, in Bali for example Padang Padang. So Bali and Phuket are pretty similar in many ways but there are of course some differences. In my opinion Phuket is a lot cleaner island which will suit better families etc. Although Bali is really popular among the tourists, it's still a lot shabbier than Phuket. You can't say that traffic in Phuket is easy but I still think it's easier and simpler than the horrible situation in Bali. There was only few traffic jams and some kind of rules are easier to notice than in Bali. It felt a lot safer to drive in Phuket than to drive in Bali although I have to admit that people can drive unsafely also in Phuket. Also the public transport is at least a little bit better in Phuket although it's not too good there either. Not too much to add to the description of Bangkok. Really nice people although a little bit shy like most of the Thai people are. Anyway almost everyone was helpful, smiling and friendly. Also the English skills seemed to be a little bit better in Phuket than in Bangkok which I guess results from the fact there are more tourists in Phuket compared to the number of locals. Taxis were really expensive. Still cheaper than in Finland but almost every time you have to pay at least 400 Bahts for taxi drive, most of the time even more. When I came to Kathu from the airport, I had to pay over 600 Bahts and it even was with a meter taxi. There's only few meter taxis which are cheaper than the other ones. Besides taxis the prices were pretty much same than in Bangkok. Not much to add to Bangkok here either. Although as I already said, it was easier to enjoy Thai food in Phuket than it was in Bangkok because menus weren't written only in Thai. I especially liked Pad Thai and Pad Mama which are local tasty noodle food which are also pretty spicy if you want so. Kuala Lumpur was smaller and cleaner version of Bangkok. There's only 2 millions people living in Kuala Lumpur while in Bangkok there's almost 10 million. Still I have to say that one of the things I liked most about KL was that it was easier to get around there but it still was quite a huge city. Especially it was cool to walk around KL and look at all the numerous skyscrapers. Although the Islamic religion of Malaysia is visible everywhere in Kuala Lumpur (the dressing of women, no pork in restaurants, no kissing in buses, trains etc. ), the city seemed to be pretty western at the same time. The western influence is pretty visible. The city is really clean and stylish. There may not be that much to see or to do for tourists but I bet you can easily spend at least one week there. I spent most of my time in Chinatown which seemed to pretty nice and especially cheap area in Kuala Lumpur. The stylishness of KL of course isn't that visible in Chinatown but I don't think people will expect that when they're going to Chinatown area. There's also one big shopping street in Chinatown. As opposite to Chinatown and some other similar areas there are KL Sentral, KLCC and Bukit Bintang which are really stylish and huge areas with many western malls etc. The western influence I was talking about is easy to notice in traffic which was a lot less chaotic than in Bangkok or in Phuket (I won't even mention Bali). Still I wouldn't ever compare the traffic in Kuala Lumpur to the one in Finland but it was a lot easier and more rational than in Indonesia or in Thailand. Although it has to be said that the car drives didn't want to give way to pedestrians. And yeah, the traffic is left-hand in Malaysia as in most of the countries here. I wouldn't say that people in Kuala Lumpur are as friendly and nice as in Thailand. At least they didn't give that same impression as easily as in Bangkok and Phuket. Although I have to say that the staff in my hostel was very helpful and nice. And yeah, I didn't have any problems with locals or anything like that so you don't have to worry about people in KL being rude or anything like that. I just mean that I wasn't impressed by the niceness of the locals the same way as I was in Thailand. One nice thing for students in Bali is that you can communicate with Malaysian people with bahasa Indonesian, because Indonesian and Malaya languages are really similar! 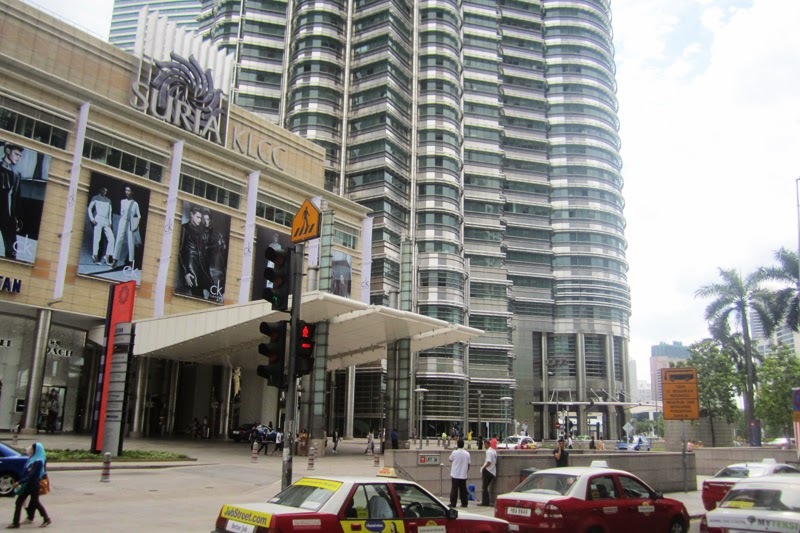 The prices depend on where you want to go in Kuala Lumpur. You can live really cheaply if you spend most of your time and do most of your shoppings in areas like Chinatown or Serdang which is the area where Universiti Putra Malaysia is located. On the other hand especially KLCC and Bukit Bintang (mentioned earlier) can be quite expensive. The local currency is ringgit. One Euro equals 4 ringgits. I didn't have time to get to know with Malaysian cuisine because I stayed in Kuala Lumpur only three days. In Chinatown I ate really good Chinese food. Also Thai and Indian food seemed to be pretty good. In overall I can just say that food seemed to be pretty cheap and good.